What’s so special about Solid Teak Wood Furniture? If you have ever looked closely at the different types of furniture that are available on the market, you will have no doubt discovered that solid teak wood furniture is amongst the most highly prized furniture that you can buy today. Teak wood has been popular wood to use for furniture for centuries and, even today when there are so many alternatives available; it is still solid teak wood furniture that people think of first when anyone mentions high quality furniture. So, why is solid teak furniture so highly valued and what makes it so great? 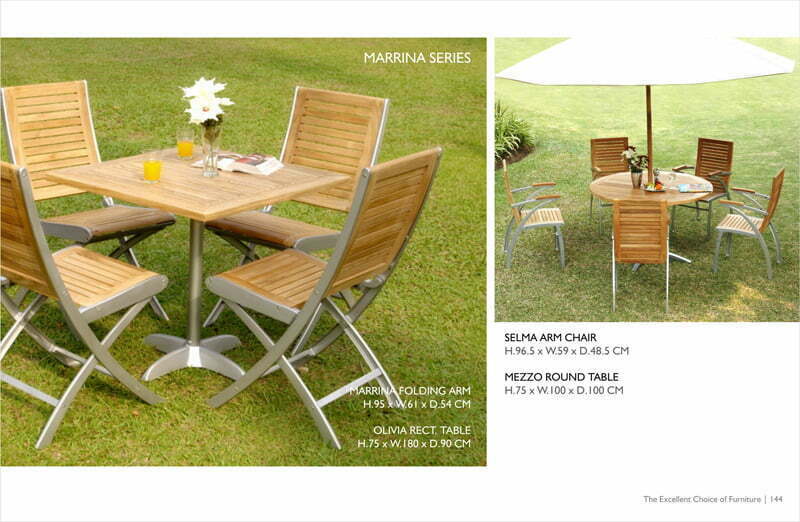 One of the reasons why teak wood furniture is so sought after is the natural elegance and beauty the wood. Teak wood has a very dense grain and it is a beautiful golden brown colour that slowly darkens to a deep brown-red as the wood matures. If you have outdoor teak wood furniture and you leave it untreated to weather, the wood will gradually transform into a wonderful shade of silver-grey. Teak has some remarkable qualities when it comes to durability as well and it is one of the most hard-wearing types of wood that you can get. When teak wood is harvested, it retains its natural oils, and those oils act as a natural waterproofing and they repel insects, fungi and parasites, which is why teak is so popular for outdoor furniture. The natural oils in teak also help to prevent metal objects, such as screws and nails, rusting, which is one of the reasons why teak wood is often the preferred wood for use on boats and ships. Teak wood is also extremely strong. It’s much stronger than softwoods, such as pine wood and mango wood, and it’s even stronger than most other hardwoods. Teak wood is a fantastic material for handmade furniture, because it can be easily worked and hand carved. That means that solid teak wood furniture can be hand crafted into beautiful shapes and hand carved details can be added. Indoors or outdoors, solid teakwood furniture is likely to last you a lifetime. Indoor teak wood furniture will last forever and, even when teak is used for outdoor furniture, if it is looked after, it will easily last fifty years, which is more than twice the lifespan of most other woods. Teak may be more expensive than other woods, but because of its long lifespan, making an investment in teak wood furniture will actually save you money in the long run. Historically, teak wood furniture was the furniture of choice for the wealthy and the nobility of the world and it was, for along time, considered to be a luxury that most people couldn’t afford. Today, while teak wood is now more affordable, it is still considered to be the highestquality wood that can be used for furniture. In an age of veneers and cheap, mass produced furniture, a solid piece of teak wood furniture stands out as being something really special and it can add a real touch of class to any home. Teak wood furniture is beautiful, hard-wearing, and it is the type of furniture that will last a lifetime and become a family heirloom. It might be a little bit more expensive than regular furniture, but when you are looking for quality and style, everyone knows that you really can’t beat solid teak wood furniture.